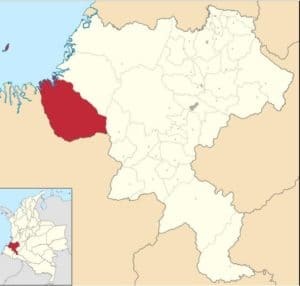 Geographical location of Guapi, Cauca – Colombia. 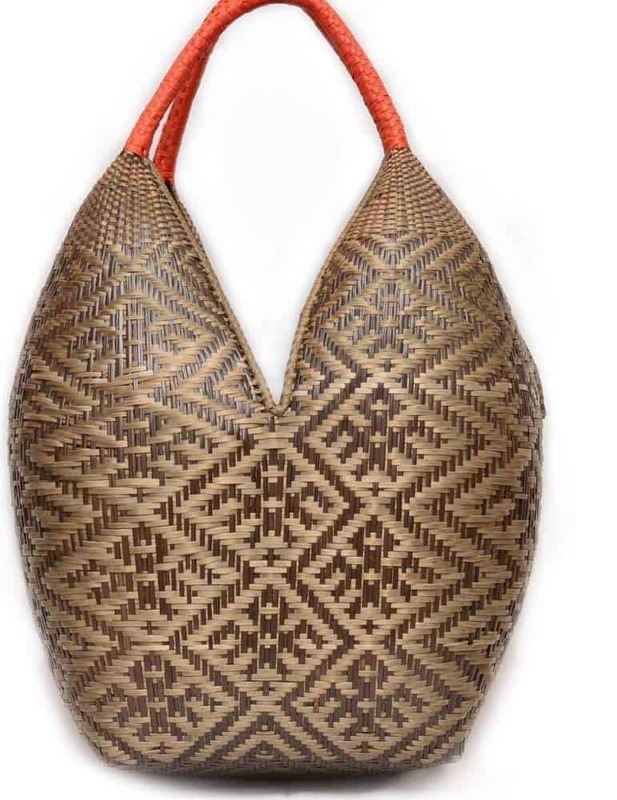 The “Cuatro Tetas” baskets (literally translating “four breasts”) are made in Guapi, Cauca by members of the Eperara Siapidaara community. Guapi is located next to the Guapi River, 4 miles away from the Pacific ocean. Although they originally lived in the Choco region, the Eperara migrated to Guapi due to many factors, including violence within the country. Eperara Siapidaara woman and her baskets. 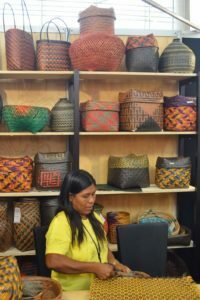 In Guapi they created the Canaan community where they re-took farming, fishing, and the ancestral tradition of weaving with Chocolatillo and Paja Tetera fibers. 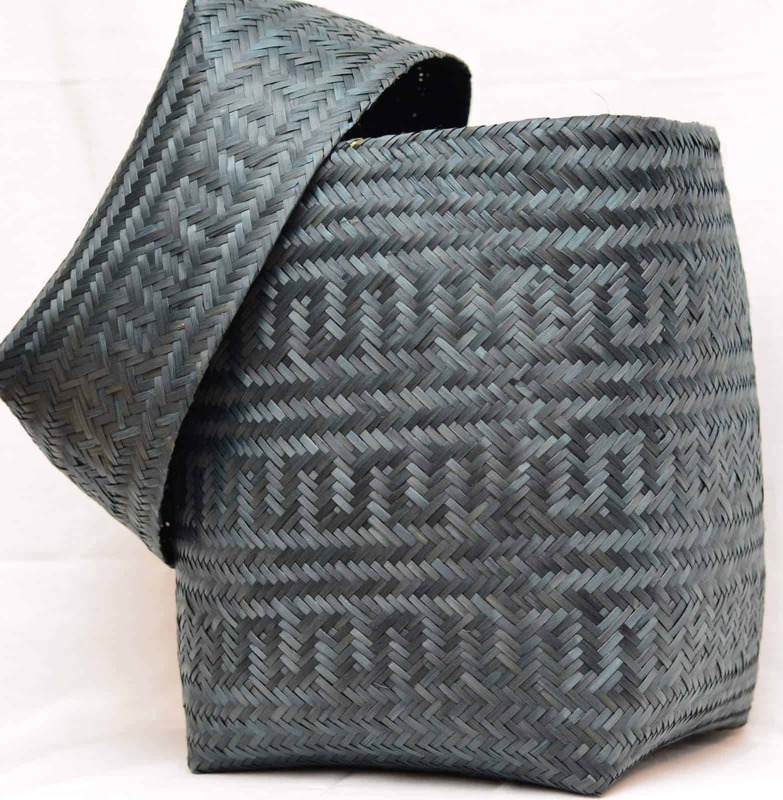 Moreover, weaving baskets is something the Eperara have done for many generations. They use their baskets as storage for food and household items as well as to prepare food. Recently their baskets have also become their most important source of income. As well as providing an income, the practice of weaving them has been crucial in the revival and conservation of their knowledge and traditions. Hence, many women have come together to share with each other time-honored patterns and techniques, ensuring that their craft is preserved in the newer generations. While the baskets have evolved from household use into more elegant and detailed art objects, what they translate remains the same. The patterns used in the baskets are a reflection of the world that surrounds them, such as constellations, jaguar spots, snakes, spiders, the ant’s trail, and frogs. Chocolatillo and Paja Tetera, the plants from which they source the fibers, are plants that they usually crop. However, current climatic conditions have impacted their crops. 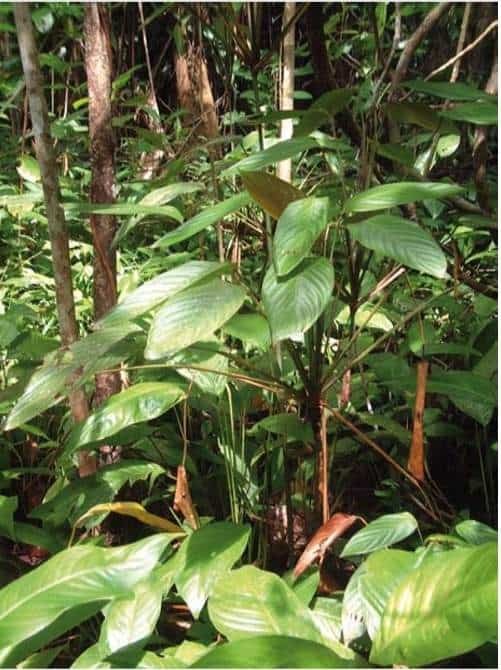 As a result, Eperara men must walk up to 3 hours into the forest to find them, or have to buy the plants from other tribes. It is always the Eperara men who do the harvesting. They journey into the forest and use knives to cut the stems. Then, the men must carry the stems on their shoulder back to the village, (they can never be dragged). Consequently, they proceed to cut the bark of the stem to reveal the inside fibers. These fibers are then left to dry for three days. The whole process generates no waste. After the women weave the baskets, any material left over is used as compost. 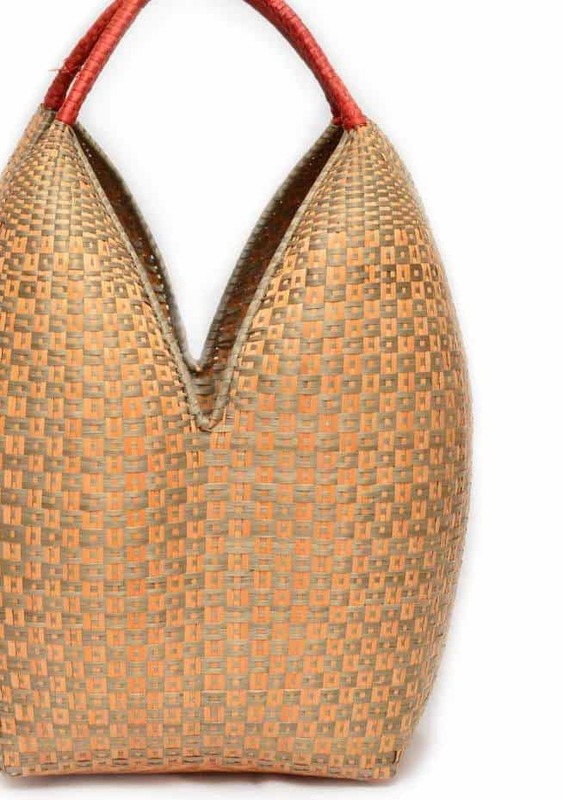 The Eperara make these beautiful baskets, and sell them to people in large urban areas. Therefore, the baskets serve as ambassadors through which the Eperara Siapidaara create a connection with other people, share a part of their story and their culture.